I recently visited LA. On our last night there we were looking for a place close to our condo in Culver City to find some dinner. Earlier we drove past a neat little area, bustling with lively restaurants, so we decided to walk around and find a restaurant in the area. 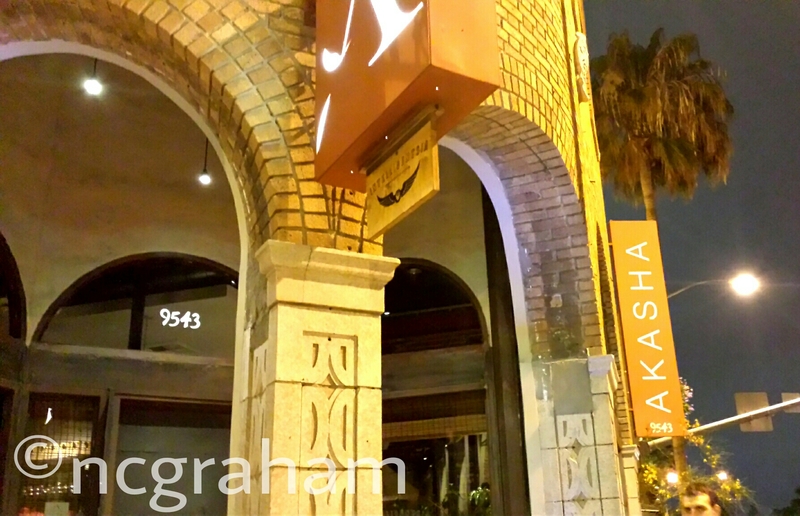 We came across Akasha restaurant and popped in for some food. We go there close to 10 pm and they had stopped seating people in the dining room, but welcomed us to the bar, where we made it just in time for the kitchen’s last call. The restaurant has a modern trendy feel. Dim lighting, wall-to-wall wine display and trendily dressed patrons. 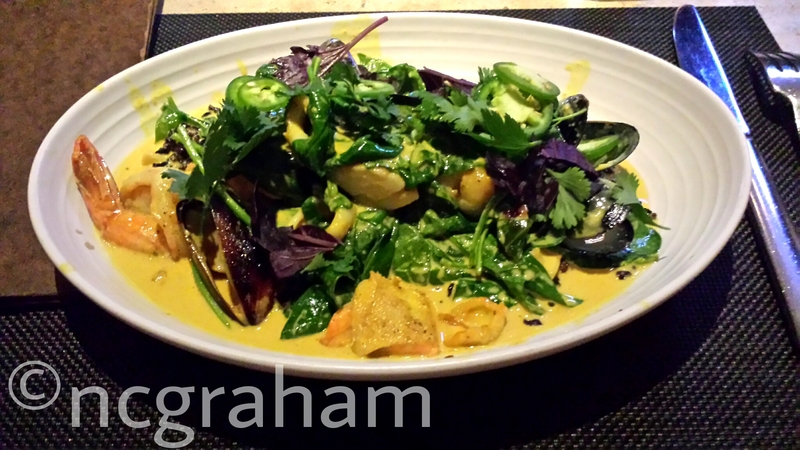 I ordered the Bali Seafood Curry (scallops, shrimp, calamari, mussels, sea bass, baby spinach, black forbidden rice $25). I originally wasn’t planning on writing a review for it, but after the first bite of my dinner, I was in love, and decided this place was worth writing about. The curry sauce was a beautifully rich and aromatic coconut-lemongrass curry. One thing I love about the US is that restaurants never skimp out on portions, even for the good stuff. The dish was packed with big pieces of many kinds of seafood, and every bite was fantastic. The shrimp and scallops were cooked to perfection, and the sea bass melted in my mouth. I think there were even some pieces of salmon in my dish, which were also cooked to the perfect tenderness. I’d never heard of black forbidden rice before, but it’s texture and grain shape reminded me a bit of risotto rice (cooked the way they do it in Italy, not in North America). For heat, the dish was topped with some sliced fresh jalapenos, so diners can make their dish as mild or as spicy as desired. 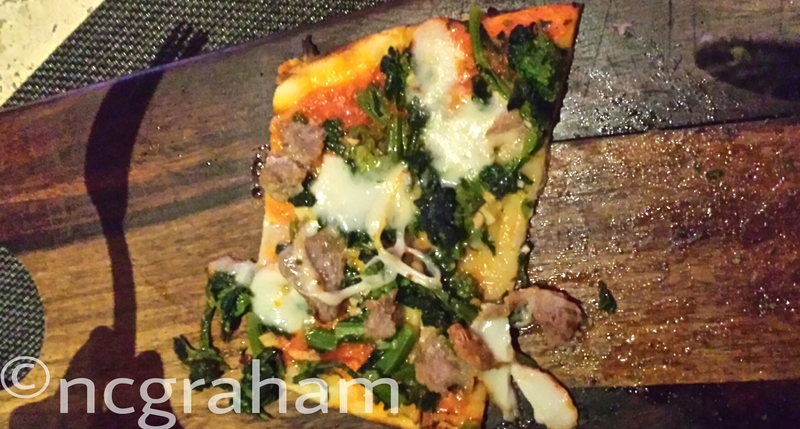 My husband ordered the House Made Pork Sausage Flatbread Pizza (mozzarella, rapini, tomato sauce, chili flake $12). 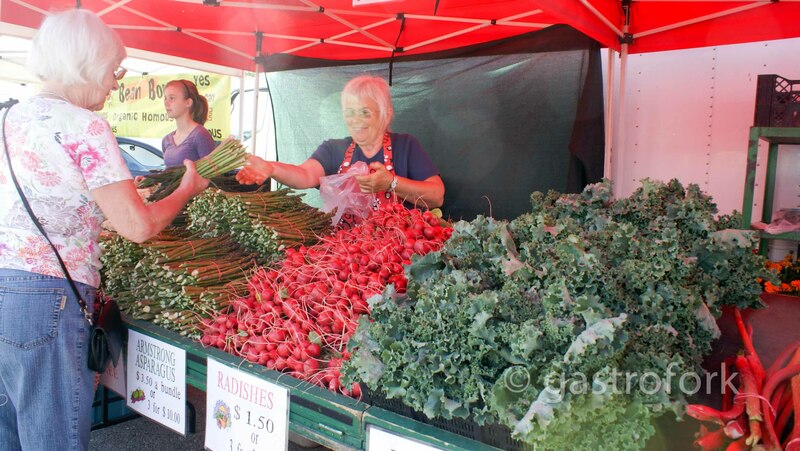 In his opinion it was “a bit too rapini-y” but good. In my opinion, the one bite I had was delicious. As I mentioned, initially I wasn’t planning on writing a review, so by the time I got a picture of the flatbread, my husband had eaten almost all of it (note the shadow of his fork in hand eagerly awaiting me to finish my photography so he could continue to eat.) Which, I think, is more of a testament to how good the food was, than how slow a photographer I am. 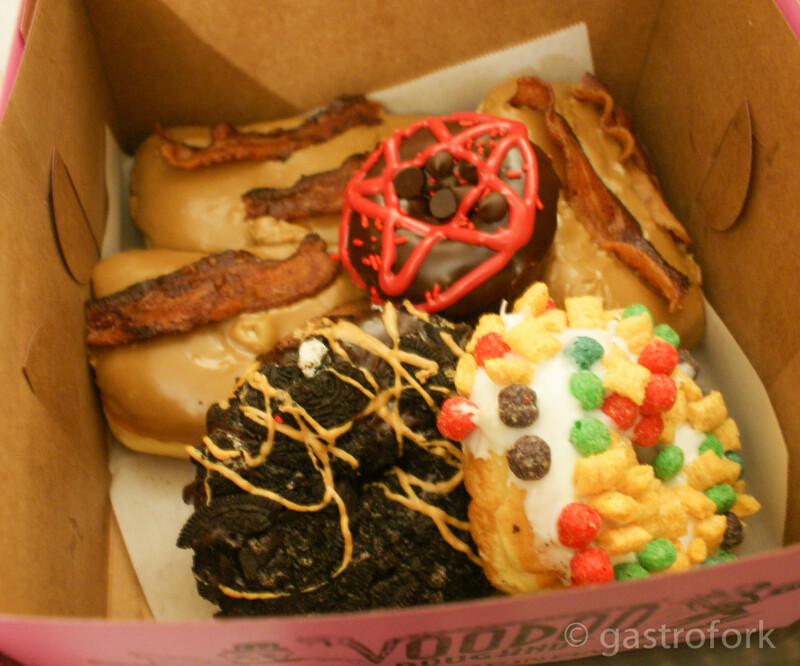 The restaurant is located in the heart of Culver City, just a couple blocks from Sony Pictureworks. Free street parking is available after 6 pm. Nice ambiance and delicious food. I would go again, and recommend it to others.